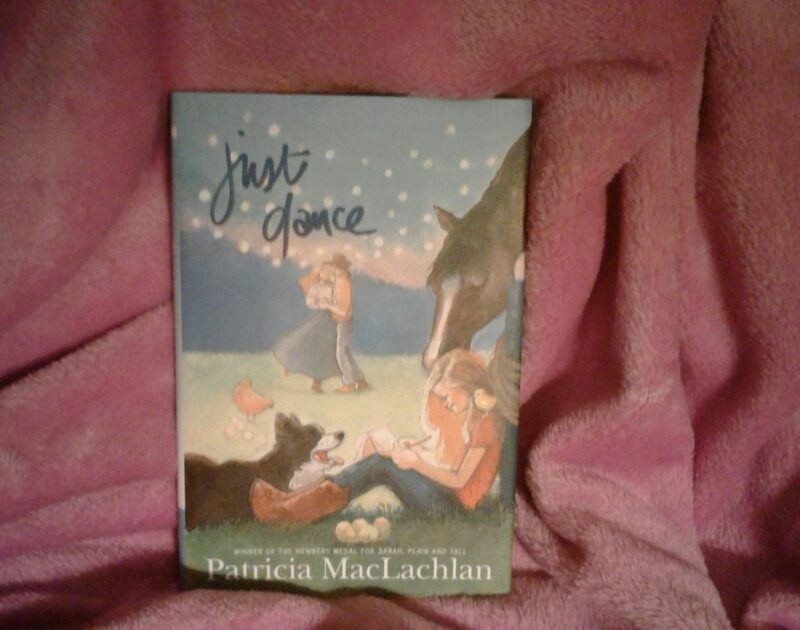 Patricia MacLachlan is an “old school” author or what I call a “grandparent friendly author” as nothing “bad” happens in the story. Sure, Sylvie Bloom gets sick near the end of the book, but nobody is worried she will die. Nor are there any drawn-out weeks of worrying. Even the “excitement” of the dog locked in a car really is not all that worrisome as you know that Sheriff Bud will miraculously save the day. Even Sylvie’s name, Bloom, is happy and a shadowing to what will happen. Which is, Sylvie will “bloom” and find herself, understand her family and know that she has a voice. Just Dance is just like MacLachlan’s other works. It is fun but needs to be longer with more action. There are slight holes to story line at times, events wrap up too neatly and you can tell there is an old-fashioned morality to it: the woman leaves her job to raise her family, the Sherriff is male, the teacher perfect and encouraging to her student. None of these are bad, just not necessarily for the modern pallet. However, if you have that kid who is younger and needs an older read, MacLachlan is a good fit. Also, if you need a chapter formatted read-aloud she works as well. Plus, Sylvie likes to write, especially poetry, therefore if you have a budding writer, this might work for them as well. And while I do not usually believe in “boy book/girl book” this is aimed more at girls, even with that old-man younger brother of hers.